In September we added new feature – Wind Report from your favourite spot. With our new release you can push Wind Report also from main screen directly – only double-click ease. Every user can show the real wind situation on the exact spot. The wind is really hard to predict – the real situation can distinguish from the forecast. 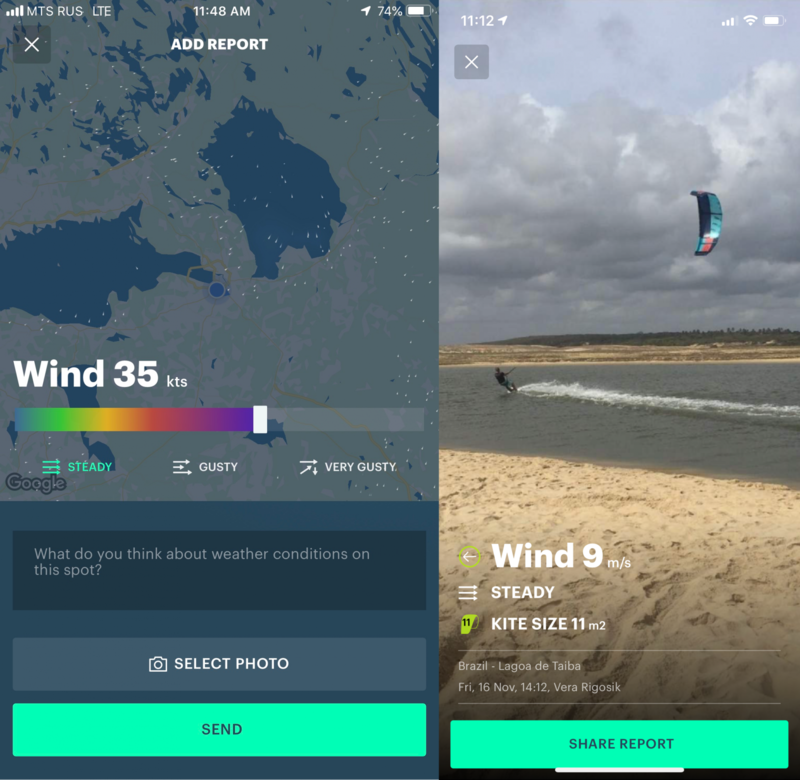 You can share with your friends, students or anyone else the Wind Report. The actual wind speed and direction, recommended kite size or windsurf sail size, or add a comment about weather and riding on the particular spot – anything your like-minded persons may want to know about the spot. This report will be automatically added in the spot chat and saved in the history for future seasons. Also you can share the report in social network or messenger. You can help us with better weather forecasting for particular spot! The more reports we receive the more accurate forecast we can make for you! Don’t be greedy, Wind Report in WINDY APP!